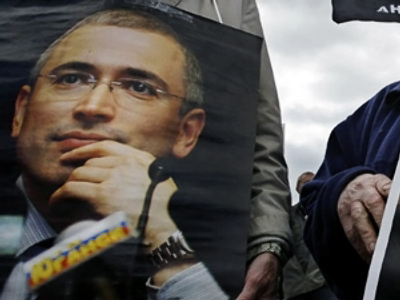 Khodorkovsky, once Russia's richest man and the former boss of the Yukos oil company, was arrested in autumn, 2003. In 2005 he was convicted of multiple charges, including tax evasion and fraud, and sentenced to eight years in prison. In late 2006 a second criminal case for money laundering was brought against Khodorkovsky, whereupon he was moved from the penal colony in the Chita region, where he’d been serving his sentence, to a detention centre in the same region. “Mikhail Khodorkovsky and his business partner Platon Lebedev are charged with embezzlement of about 350 million tonnes of oil and laundering 487 billion roubles and $US 7.5 billion,” commented Vladimir Markin, spokesperson for the Investigation Committee of the Prosecutor's Office.